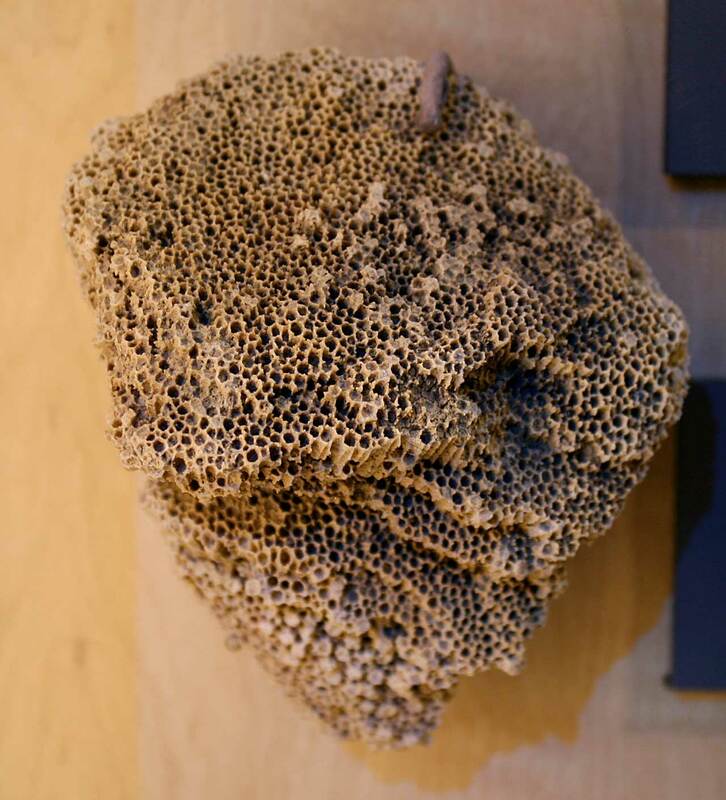 This image is of a Favosites (Emmonsia) emmonsi colonial coral fossil. It was found in the Jeffersonville Limestone of Clark County Indiana USA. The fossil dates to the Devonian Period.